Four-in-ten (40%) respondents to a new study by EDM Group believed that a digital mailroom would improve the overall performance of their business. Just a quarter (26%) thought that a digital mailroom would have no impact at all. The study by EDM, a leading provider of information and business process management technology and services, found that just 16% of respondents believe their organisation always meets its mail service levels. Around a third (30%) said that mishandling mail has a negative effect on their performance or reputation while two fifths (39%) stated that mishandling mail has a negative impact on customer service levels. The EDM research into use of digital mailrooms comes at a time when many UK firms are focused on how digital technologies can help transform and improve their businesses – not just by increasing efficiency and customer focus but also by developing data-driven insights and meeting increasingly strict regulations such as the General Data Protection Regulation (GDPR), which enters into application in May 2018. The research found a quarter (23%) of UK businesses receive more than 5,000 items of inbound mail every month, while three fifths (60%) still receive faxes into their mailrooms. 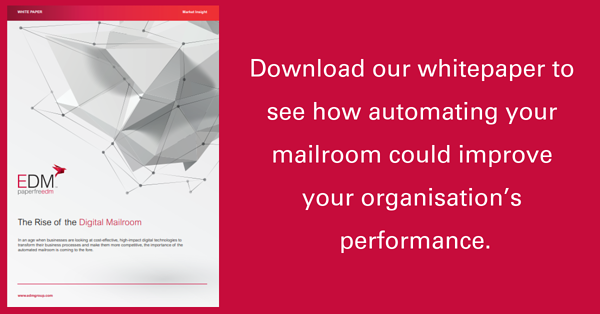 Just 19% of UK business use some form of mailroom automation to manage their post and in-bound communication. Digital mailrooms allow organisations to achieve cost-savings and business process improvements by digitising paper documents and incorporating them into a single platform. Paper-based communications such as in-bound mail can be absorbed into digitised processes alongside email, web forms and other communications formats. 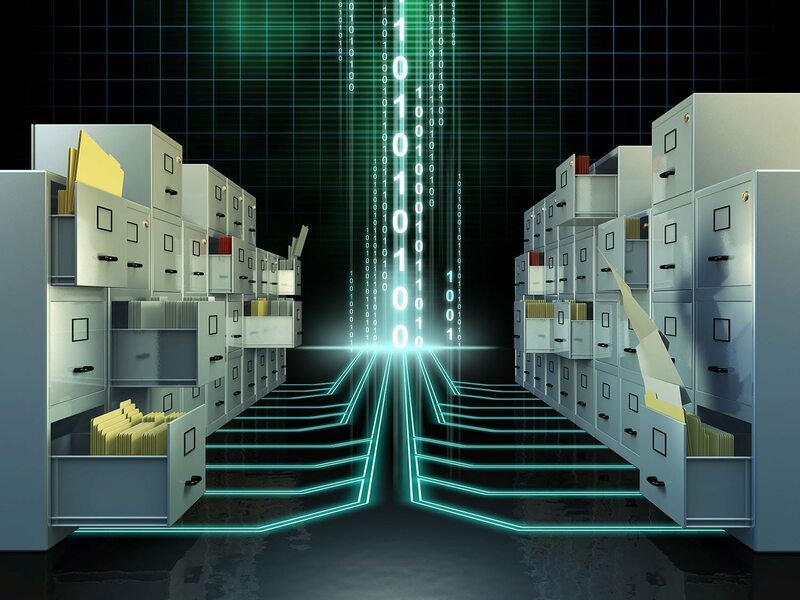 Spencer Wyer, Group Chief Technology Officer at EDM Group, said: “Mailroom automation is the bridge between the paper-based processes that companies will always deal with and the demands to digitally transform business models. Digital mailrooms are highly efficient, cost effective ways for businesses to digitise their customer communications – dramatically improving data capture and information management as well as enhancing customer service and compliance. EDM Group, which has pioneered the use of digital mailrooms since 2004, operates digital mailrooms for companies and large organisations in the UK and US. Clients include HMRC, Nationwide, Legal & General and many of the UK’s NHS Trusts. The firm has a proven track record of transitioning and transforming complex services and offers the flexibility to scale up and down as required. Its solutions are certified to the highest levels of compliance: ISO9001 / ISO27001 / BS10008 / PCIDSS / ISO14001. About EDM Group: Headquartered in London, EDM Group employs over 1,400 people across the UK and US. For the financial year 2014/2015, the firm reported an annual turnover of £70 million. In September 2015, EDM Group was ranked 43rd in the annual Sunday Times Hiscox Tech Track 100 league table, up from 57th in 2014 – a reflection of the fast-growth success of the firm and its position as a leading, global information management and digital transformation specialist. In June 2016 EDM Group was ranked number 1 in the annual Sunday Times HSBC International Track 200. EDM Group combines best-practice consulting and technical experience to develop bespoke outsourced solutions for a range of clients across the private and public sectors. The success of the firm has been built on its powerful Digital Mailroom document scanning and storage capability, which continues to be a core, in-demand product offering. EDM Group’s growing client base spans sectors including financial services, automotive, professional services, private healthcare, and the public sector (central and local government, and NHS). 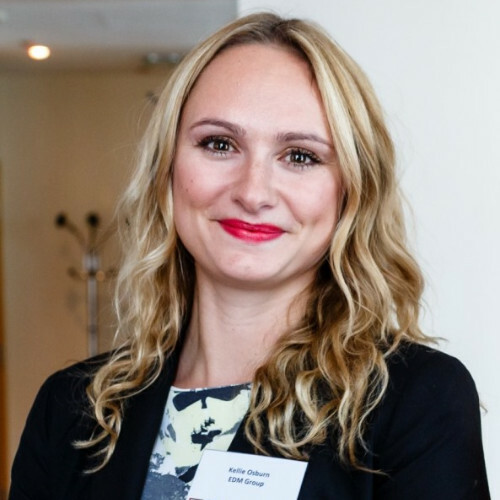 Specific clients include HMRC, Legal & General, Friends Life, Bupa, Avis Budget EMEA Ltd, Nationwide Building Society, Barclays, Santander, Companies House, Lloyds Banking Group, Grant Thornton and healthcare providers including NHS Trusts and BMI hospitals. EDM Group is accredited to ISO standards for Information Management Systems (ISO27001), Environmental Management (ISO14001) and Quality Management (ISO9001).